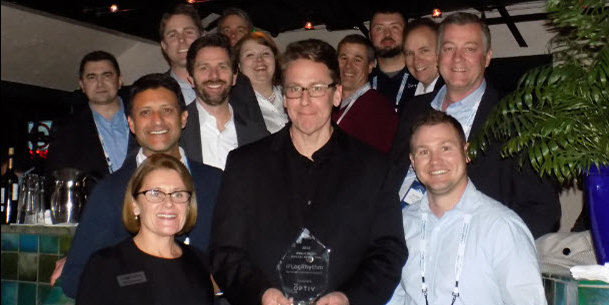 Denver – January 13, 2016 – Optiv Security, a leading cyber security solutions provider, today announced that it was named the Palo Alto Networks 2015 Americas Partner of the Year. This marks the fifth consecutive year that the company received this honor and the sixth time in a row that it was recognized as a top Palo Alto Networks partner. The company also was selected as Western Region Partner of the Year in 2010 and 2012. Optiv offers a wide range of solutions and services that help organizations plan, build and run their cyber security programs. Specific to Palo Alto Networks products, Optiv services include resale, identification and selection, implementation and integration, optimization, support and more. Optiv’s managed security services for Palo Alto Networks’ products provide organizations with remote 24/7 access to the essential expertise clients need to respond to threats and security events. Created from the merger of Accuvant and FishNet Security, Optiv is a pure-play cyber security solutions provider serving North America. We help clients plan, build and run successful cyber security programs that achieve business objectives through our depth and breadth of cyber security offerings, extensive capabilities and proven expertise in cyber security strategy, managed security services, incident response, risk and compliance, security consulting, training and support, integration and architecture services, and security technology. A Blackstone (NYSE: BX) portfolio company, Optiv maintains premium partnerships with more than 300 of the leading security technology manufacturers. For more information, visit www.optiv.com or follow us at www.twitter.com/optiv, www.facebook.com/optivinc and www.linkedin.com/company/optiv-inc.